So, as you already know, this is the 2nd volume in the Carlos Bess series and follows on from the excellent Sandinistas record we dropped in May, 2013. This fillet is probably the most in demand 90s indie piece and we had to bake the reels in order to salvage the masters. Included on the reels were an acapella, an unheard extra track and its instrumental as well as 2 more unheard dub/instrumental joints. Here it is, back from the dead, one of the drops of the year……ONE DEEP YO! 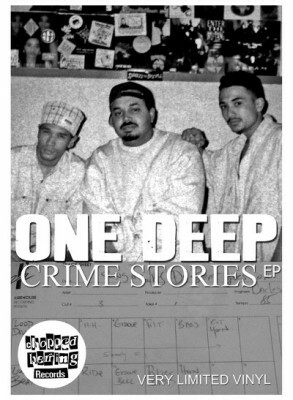 comment "One Deep – Crime Stories EP (Vinyl) (2013) (FLAC + 320 kbps)"